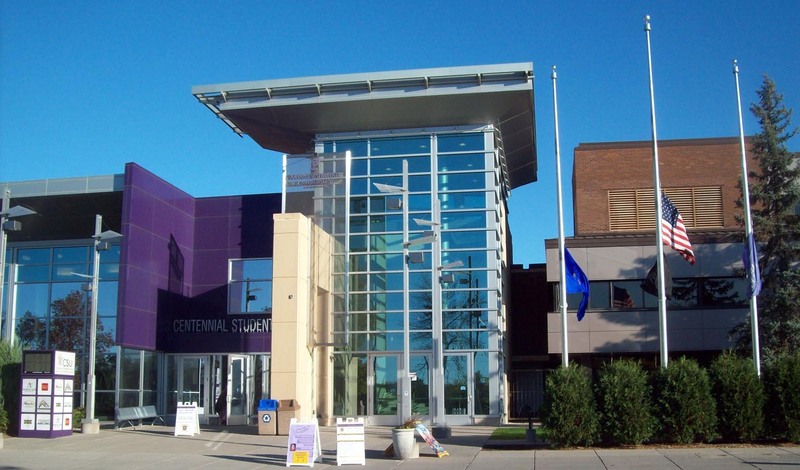 October 12-13, the weekend of the 32nd Annual Women and Spirituality Conference in Mankato, Minnesota. We walk into a typical registration table, sign in and collect our name tags and conference materials. The schedule, changes and cancellations, a copy of the October edition of the Minnesota Women’s Press magazine and maps – lots of maps. The doors to the auditorium open and everything changes. We walk in through banners that read: “I Enter In Perfect Love And Perfect Trust.” The air is charged as people find seats. There is much waving and greeting as women find friends they haven’t seen since the year before. Business announcements are made, the staff and University thanked and then we are told “Welcome to our ritual led by Treewommon and an assortment of witches to honor the Goddess and the Sacred Elements.” The opening ceremony is begun. The directions are called, East and Air, South and Fire, West and Water, North and Earth, and Center. Puppets representing the directions are paraded in and presented in turn, each carried by a woman who is also a representative of woman aging through the stages of life. The maidens, the mother, the crone, and the hag. The Goddess Herself, named as Bridget and carrying a banner with symbols of many Goddesses representing Center, Spirit, and Community. The audience joins in the familiar chant and the Conference is off and running. This conference is sponsored by the Gender and Women’s Studies Department at the University of Minnesota, Mankato. Cindy Veldhuisen, the Business Manager for the Conference, told me that there were about 540 attendees this year. This is up from last year. Some of the reason for the increase in attendance can likely be attributed to this year’s keynote speaker, Starhawk. 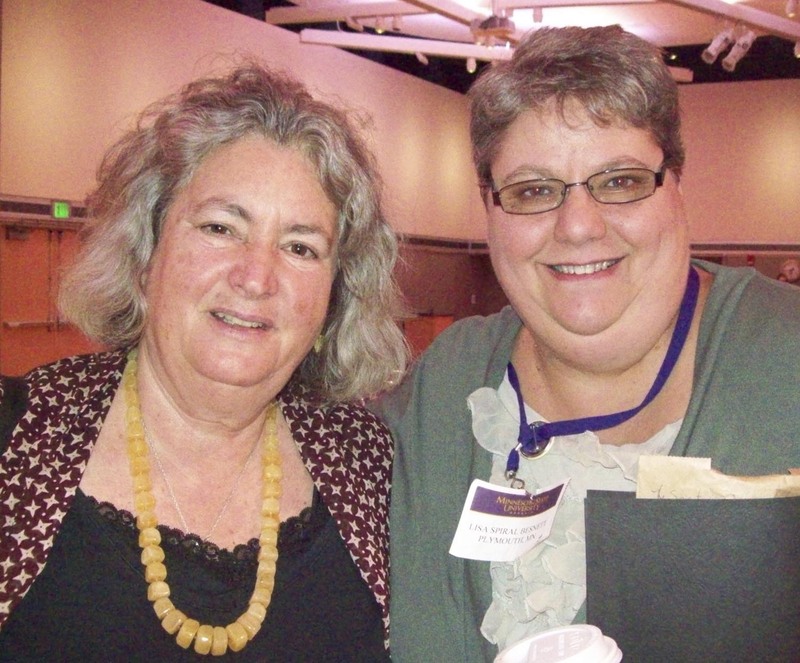 This is Starhawk’s third appearance as keynote speaker for the Woman & Spirituality conference. She draws attendees from across the five state area as well as from the east coast, Colorado and Canada. Many of the women I spoke with who were familiar with Starhawk were also alumni of the Diana’s Grove Witch Camp. Starhawk is often mistaken as the public face of Reclaiming, and indeed she was one of the co-founders of the original collective in San Francisco. But her focus, especially in recent years, has been on Earth Activist Training . She is teaching permaculture techniques to small communities throughout the world. She’s just returned from an training in Palestine. One of the things Starhawk talked about in her keynote address was “frame”. How we choose to frame things affects how we see them, how we interpret the information. She told about her first visit to the region as part of a Hebrew Class trip in her teens. They pointed out that the Israeli side of the Jordan was green and lush and the Palistinian side was all brown and dry. Since then Starhawk has come to realize that the Israeli’s control 80-90% of the ground water in the region. She also knows that the Palestinians have been practicing sustainable agriculture in the area for thousands of years. They feed their people without using much water at all. Yes, it’s not as lush or green. The base systems are fig trees, almonds and olives. It’s a style of agriculture that sustains the soil and the ecosystem. Permaculture respects those systems and uses modern tools with historically successful techniques to rejuvenate the soils and sustain the crops. It is this concept of rejuvenation that Starhawk feels is at the core of the Pagan spirituality. She suspects it is this philosophy that the consumer culture finds threatening. There was a slide show about the devolution of the Bird Goddess. There is strength in those postures of resistance, the stances of the neolithic and paleolithic statues. Starhawk suggested that the Harpies, the Crones, the Witches as well as the guardian Angels all come to our collective consciousness from those early Bird Goddesses. She reminded us that Harpies harp. They point out the things that need fixing, and keep at it until those things get fixed. She encouraged the conference goers, when they’re in the mood pick a fight, to get on the phone and call their congressmen. Starhawk blogs about this connection between Paganism and politics at www.starhawksblog.org. Of course the keynote speaker is not the whole of the conference. Over the course of the two days there are also four sessions of hour and a half workshops offered. With 30-35 workshops offered in any given session there was a lot of variety to chose from. Many of the presenters actually offered repeats of their workshops in a second session to make it a little easier for attendees to choose. The conference spreads over 5 of the campus buildings using classrooms, conference rooms and dance and exercise spaces. One of these buildings houses the vendor room. An ample space for several rows of vendors to show their wares. There were services offered, Reiki and tarot readings, along side the books, jewelry, drums, pottery and garb we often expect. Many of the vendors are also presenters, either closing their booths for a workshop session or partnering with a friend. 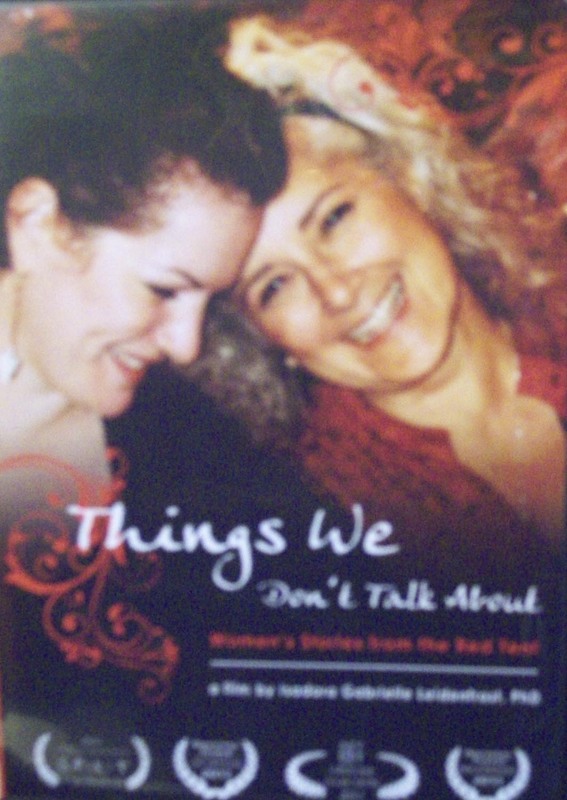 The filmmaker and distributor of the movie “Things We Don’t Talk About: Women’s Stories from the Red Tent” was one of the women doing double duty. She actually left her booth to be attended by a neighboring vendor while she screened the movie for conference goers. This quick and deep friendship, the commonality and trust among women is probably the most common and profound product of this conference. It’s the reason many women come back year after year. We sing a powerful chant looking into each others eyes and falling into the arms of friends and strangers around us. Tears, laughter and hugs are shared. A spontaneous circle forms so that we can all see and rejoice in the power and beauty of women gathered in harmony and purpose. 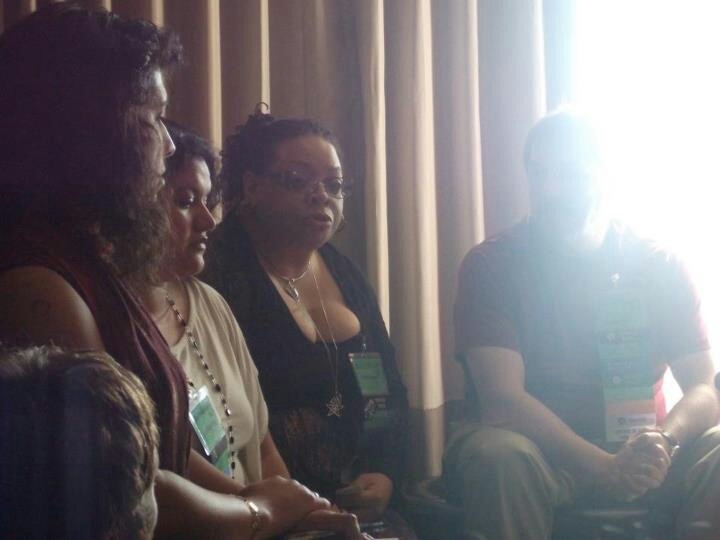 The directions thanked and dismissed we are charged to carry this energy, the spirit of the conference home with us. We are charged to remember what is possible when Women come together. Lisa Spiral Besnett is an occasional contributor to PNC. Her book, Manifest Divinity, is published by Immanion Press and available in paperback or as an ebook at Amazon.com. Spiral writes a weekly blog where you can read more about her personal experiences living a spiritually aware life. PNC: Thank you for taking time during the festival to chat with me about your new book. When did you first get the idea for this book? Lisa: I have been working on this material for a really long time and in some ways since I was first introduced to the concept of Drawing down the moon. But framing this in the context of writing a book? That was something that took a lot of people telling me I needed to write it before I finally accepted that. PNC: So how long have you been developing this material? Lisa: I would say I have been actively developing this material for over 20 years. I’ve been interested in this material for thirty. PNC: You wrote this book not for a Pagan specific audience, so when you originally developed this material, was that developed for a Pagan audience or not? As I look over the American Neo-Pagan population, at least those that attend large public events, I am struck by a number of interesting observations. Most Pagans acknowledge that any spiritual practice that works for an individual is valid. Many Pagans with Jewish families of origin identify as ‘Jewitches’. Pagans with Christian families of origin tend to consider themselves as ‘recovering’ from their Christian roots. Pagan of course being defined by Christians as anything that isn’t Christian does not help this dilemma. This deep seated resentment of Christianity in the Pagan culture rears it’s ugly head in many unproductive ways. The most common theme of resentment appears in the form of Christian bashing. Christianity is a multifaceted and varied religious practice. Pagans can often be found lumping all of Christianity into a group represented only by the narrowest, most evangelical, most anti-anything that isn’t them form of Christian practice. It’s almost as though Christians were represented by the Klu Klux Klan or more accurately as if the newest, loudest, popular, rich, televangelist was speaking for all of Christianity. We know this isn’t true intellectually, but our language does not always reflect this as we generalize about the “horrors” of Christianity. Even Christians are not all in agreement about who is or isn’t “really” a Christian. Mormans, Catholics, and Jahovah’s Witnesses all fall into the questionable category for some other sects of Christianity. Unitarian Universalists are sort of considered Christian and many of their members are Christian identified but their charter does not restrict their members to Christian study. In fact not all UU members consider themselves to be Christians. Other than the Christian identifying language there is very little philosophical difference between many new age thinkers (look at Matthew Fox the ecumenical minister) and many Pagans. Much of the resentment/recovery issue many Pagans face is because we have been rejected by our Christian families and church communities because of our beliefs. It is interesting to note that a large number of Pagans studied Christianity deeply looking for ways to make what was in their hearts fit in with what their families professed. Part of the weaponry of Christian bashing comes from experiencing rejection by a Christian who does not know enough about their own religion to justify their position. Many of us have found that we can expound on Christian belief, philosophy and Biblical text more fluently than the average Christian we meet. We talk about finding Paganism and feeling as though we’ve come home. We’ve always had the beliefs and feelings in our hearts that define our spirituality. We have been repeatedly rejected by the spiritual systems we were raised in, in spite of our efforts to frame our personal beliefs within those systems. Then we find a group of Pagans and Christians people with similar experiences who accepts that we are spiritual beings regardless. Of course it feels like we have come home. We probably have this experience more in common than any actual spirituality or practice. (Ask 3 Pagans what they think about something and they’ll give you 4 different answers.) That shared experience of Christian rejection binds us. The Native American spiritual movement seems to have finally come to terms with this issue. They as a community have found a way to identify as Christian in the larger culture while practicing a “cultural spirituality” that is derived from their pagan roots. This is also the basis for the ‘Jewitch’, a cultural identity with a spiritual component that can not be denied. Unfortunately, most white American Pagans only have the Christianity they were raised in to define their cultural identity. I believe the rise in Celtic Paganism and Heathenism is due to a desire to reach for, or build up, a foundational cultural spirituality acceptable in the mainstream world. This issue is exaggerated when the accepted cultural spiritual identity is not an accurate expression of the Paganism being practiced. We are beginning to see Black Pagans writing about this experience. (www.patheos.com/blogs/daughtersofeve/) Black Pagans find great acceptance in practicing Vodun, or Youruba but are looked at askance when they identify more strongly with the Greek or Celtic or Norse Pantheons. We as a culture are still in denial of the European heritage of most American Blacks. Slave owners got around, and the European Culture is a strong part of the American identity. Pagans carry their own prejudices. Often Black Pagans attending events are avoided on the assumption that they are Christian infiltrators. Most Pagans will agree that the Bible is a valid mythological text. Yet, heaven help the Pagan who wants to work with Jesus and Lilith in their circles. We even avoid the word God because it so strongly evokes the Christian ‘One God’ authority. We will clarify, ‘the God Pan’; we will broaden the scope ‘Gods’; and we will unite ‘God and Goddess’. Rarely in our dialog does the word God stand alone, and usually when it does we are Christian bashing again. As Spiritual practitioners we have an obligation to call upon compassion rather than judgement. This includes expressing compassion for ourselves. In order to heal our own hearts we must find a way to embrace the whole of our Spiritual selves regardless of how others choose to define us. I was baptized in the Catholic Church, that’s for life. I was born again upon the altar of Jesus Christ, and continue to admire His compassionate teachings. I am a Witch, a Pagan, a Mystic an Occult practitioner, Spiritual Mentor, Teacher and Pagans and Christians Healer. Unless I’m trying to join your church community why is this a problem? Unless you are trying to make me join your church community why is this a problem? If we as Pagans believe in the sacredness of all things and the presence of the Divine within each being what do we have to ‘recover’ from? I would very much like to see our community open their hearts on this issue. I believe it is only through compassionate spiritual practice that we will find our way to wholeness. As frustrating as interactions with Christians may be, I will endeavor not to generalize the practices of a few across the scope of an entire religion. I hope I have convinced you to do the same. Lisa Spiral Besnett has been Pagan identified for over 35 years. 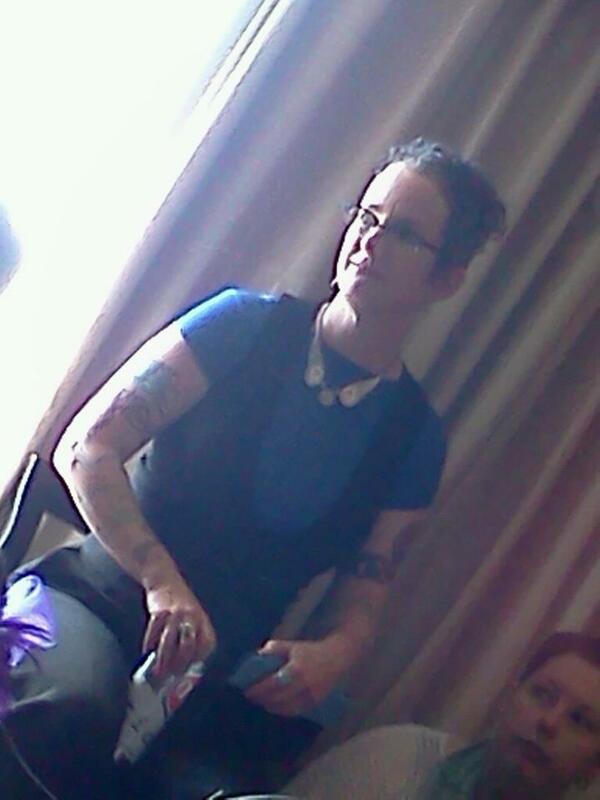 She has been active in the Twin Cities Pagan community and in the Blue Star tradition. 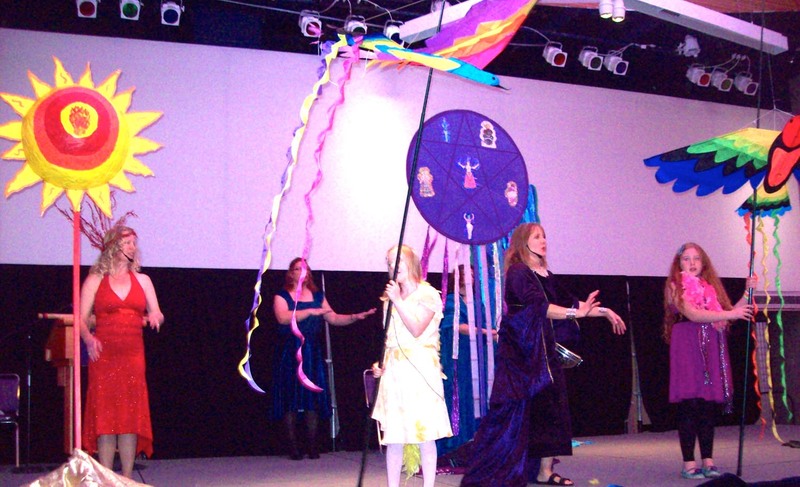 Over the years she has presented workshops at PSG, Avalon, Heartland, Sacred Harvest Fest, Pagan Pride and the Women and Spirituality Conference. She has served on the board of Northern Dawn COG, Earth Conclave, WicCoM and The New Alexandria Library. She writes a weekly blog on spirituality in daily life at lisaspiral.wordpress.com.